The disciples were looking to Jesus to define for them the government of Heaven. Who’s the leader? Who must we impress? Who is in charge? Jesus answered that question by showing them not a strong man with bulging muscles, a wise man with a degree from the local college, the richest man in town, or even the most righteous priest. He showed them a little child. 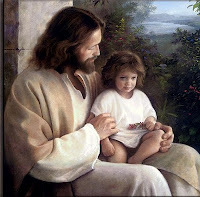 So what’s so great about a little child that we’d need to be like one to be in the Kingdom of God? Humility. Humility is often misunderstood. It’s not a weakness. It’s not derived from a lack of anything. Humility isn’t even grown from a neglect of the gifts and talents God has given you. It’s the absence of pride. Pride says, “Look at me, look what I’ve done, look at who I have become, look at my bank account, check out my position in my church, do an inventory of my works upon this earth.” But Humility says “Look what God has done for me, look at how He has used me.” It’s not neglecting the gifts God has given, but acknowledging that He has given them. It’s “Tebowing” – acknowledging God openly. Its understanding we are not independent of God, but reliant on Him for everything. John 15:5 says “I am the vine, you are the branches. He who abides in Me, and I in him, bears much fruit; FOR WITHOUT ME YOU CAN DO NOTHING.” A little child knows they are dependent upon their parents for food, clothing, crossing the street, getting better when they’re sick, protection, learning how to live, EVERYTHING.